You actually sent me a link when I was out of town at a wedding last week. But I just got a chance to read the symptoms..And put a little thought into it. When you come to the shop next I will start my car, you will hear a little piston slap then it will go away after a few minutes. That being the case, have you ever logged the car when cold to see if its detecting any knock due to that ? My car? No.. Never had the need to..
Not sure Scott knows how to do that.... I'll be over later this week Scott. 4032 pistons run much tighter clearance than a 2618 piston. Even though its forged, it expands less with heat and doesnt need the excessive clearance so it should not be the piston making the noise IMO. Dan, you did say your AFR was in the 10's during open loop but my guess is that its only that rich because of all the KR and not vice versa. Too much fuel can cause knock and pull timing, but I don't think that's the case here, Is it possible to remove the supercharger belt and run the car cold to see if the KR is still there without the blower turning? That would pin-point the blower if that's the issue. I spoke with Johan today and he sent me another tune revision he wants me to try specifically on the cold start so I will throw the tune in and will datalog on the way into work tomorrow. Its going rich because of the KR. You can leave AFR alone and remove timing and it will richen up. You can add timing and it will lean out. Not talking a lot but measurable. 12 degrees of KR will surely richen the AFR as a result of not enough timing in the engine. At least thats my understanding. What will Johan be tuning? FIrst Ive heard of this? Have him call me please. Oh I actually have the dyno rented out that day hence my confusion..
4032 pistons run much tighter clearance than a 2618 piston..
FYI, Im running the newer Modern Muscle 4032 material pistons. You telling me or Dan? Dan, pay attention. 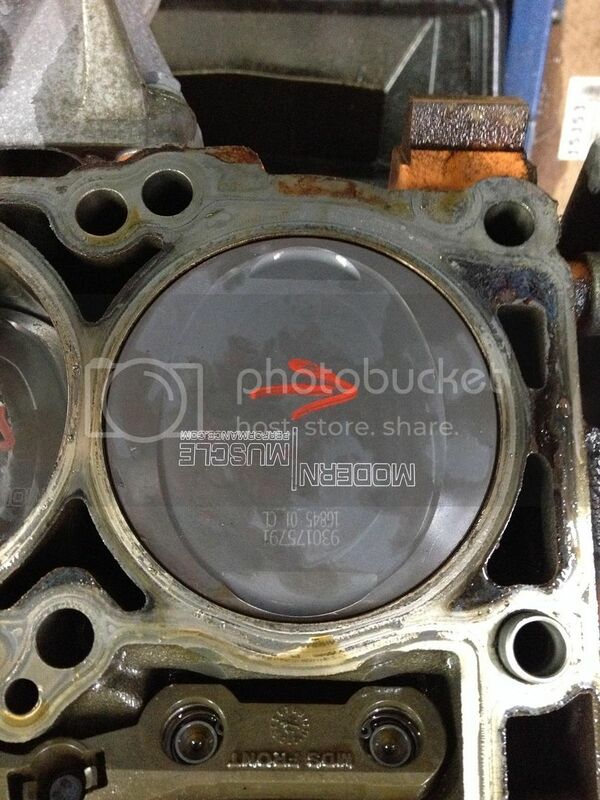 You have 2618 pistons not 4032. Does he have a 2618 offering now? I see they offer a rod/piston combo in 2618. Is that what Dan has? Those are for a 6.1 though. I dont think he has them on his site yet. I know he makes them with new rods but for just a drop-in piston, I thought they were all 4032. Im positive he has them... I just sent the wrong link... Ive installed 4 sets already..
Scott, is this not a 4032 or a new design 2618 ? I'd love to throw in a set of those on mine. Maybe I should hit up Ditos Motors for installing them.